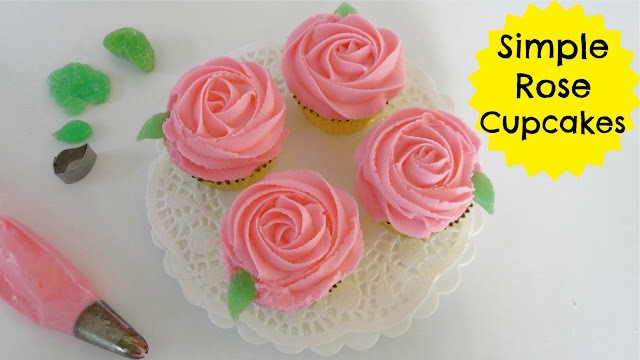 Beautiful and simple buttercream swirl roses. I used my Classic Vanilla American Buttercream recipe for these cupcakes. Smooth and fluffy classic party cake frosting with a sweet, buttery flavor. 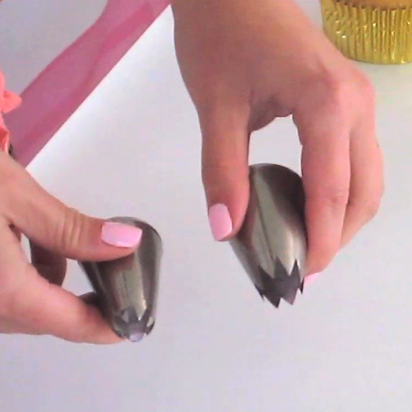 First make your frosting. 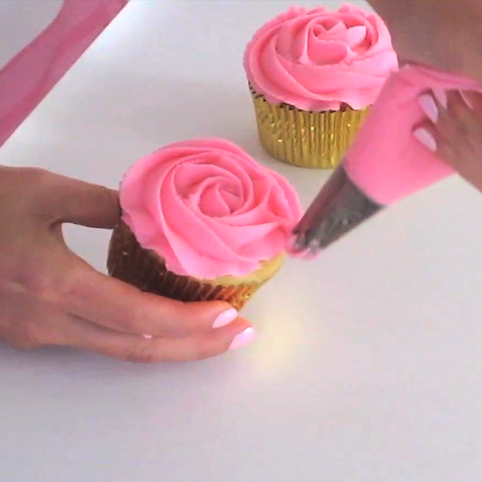 (Click Here For a List of My Favorite Go-To Frosting Recipes). 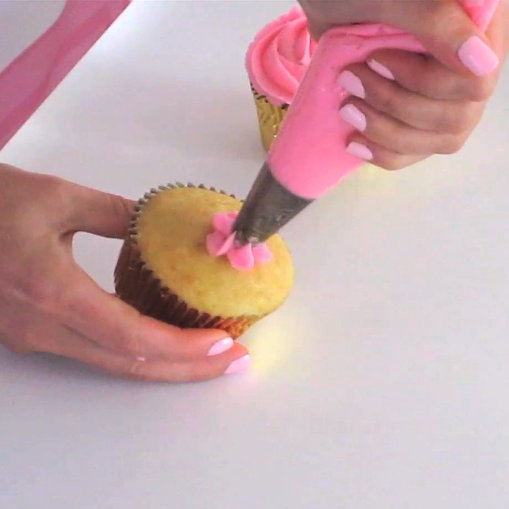 I like to use a classic American buttercream for decorating my cupcakes. 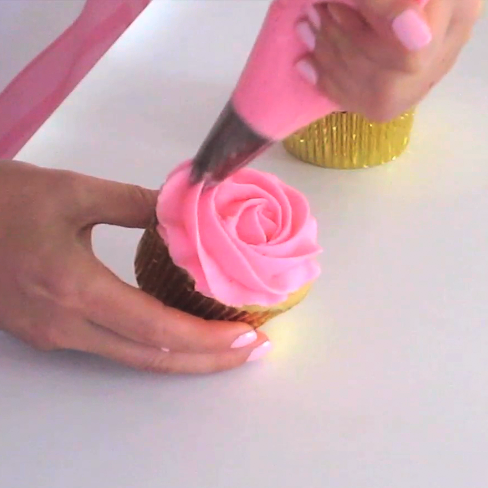 I used vanilla tinted with pink food coloring for the video, but yellow or a dark red would be beautiful as well! Next, pick your tip. A closed star tip- left (like the Wilton 2D, my personal preference) or an open star tip- right (such as the Wilton 1M or the Ateco 827, shown) both work great! 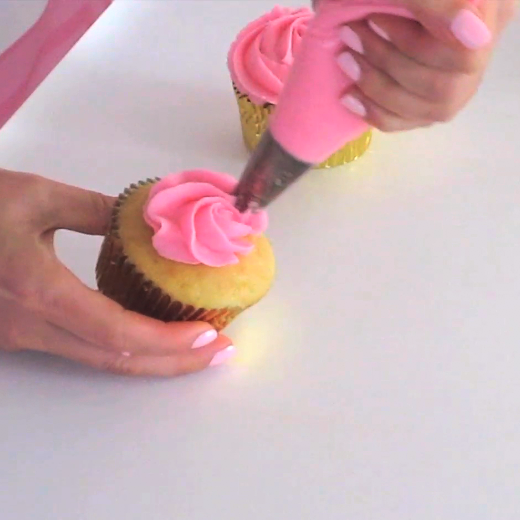 pull up and away to trail off the frosting, for a smooth finish. Create leaves out of fondant or even fruit chew or gummy candy, by molding the candy with your fingers or using a small leaf cookie cutter. 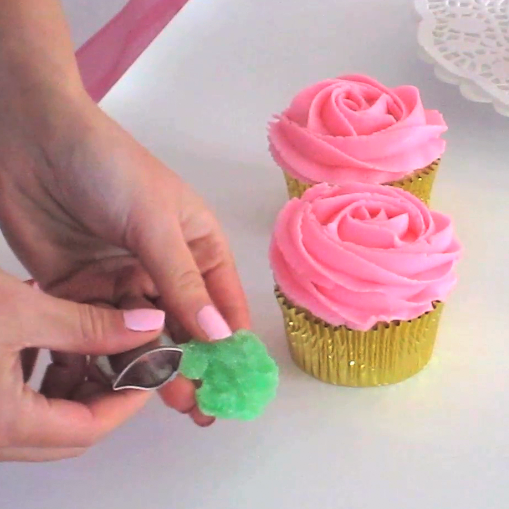 Stick the leaves right into the frosting. 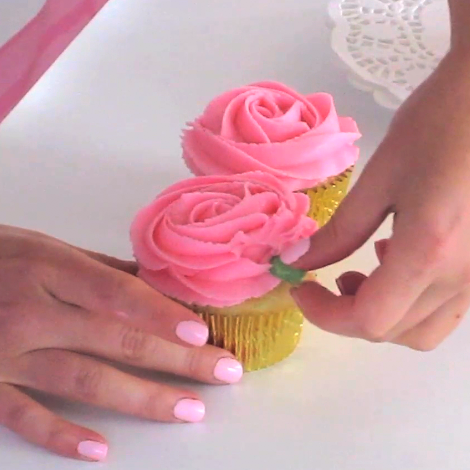 Use any color you like and create a whole bouquet of cupcakes!